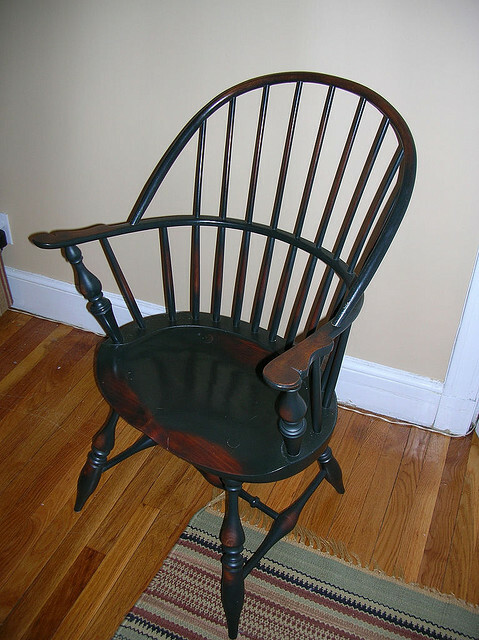 Early American furniture was produced from around 1640 to about 1700. This style is remarkably similar to Jacobean furniture, which was produced in England around the same time. It’s not surprising that the colonists, who had just immigrated to America from England, would feel most comfortable copying the familiar. Despite the heavy Jacobean influence however, Early American work took on its own personality through the use of locally available woods and slightly less sophisticated techniques. The result was a somewhat less formal feel. Because of its durability, oak was used whenever possible. Other woods, many more abundantly available, were used as well. 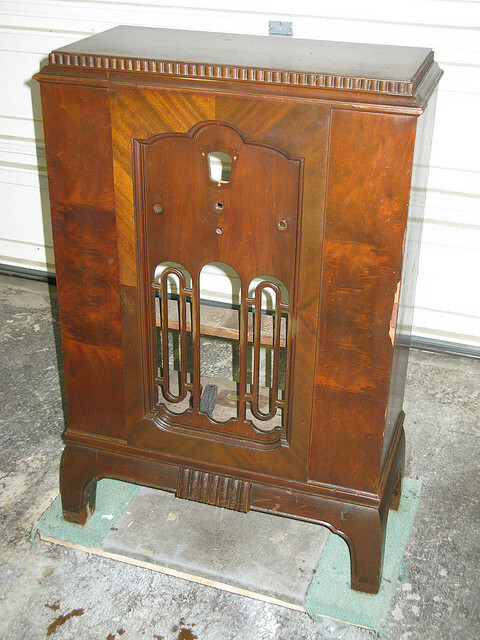 Popular hardwoods used in Early American furniture included birch, ash, cherry, hickory, elm, and sycamore. Softwoods such as pine were also fairly common. Like the Jacobean pieces that inspired them, Early American furnishings were primarily rectangular and constructed with simply, sturdy mortise and tenon joints. Block or bun feet were common, as were legs that continued to the floor with no discernible foot. Finials were common accents on four-poster beds and even some chairs. Drawer and cabinet pulls were usually made of carved wood, typically in a round, oval, mushroom, or teardrop shape. Iron and leather were also sometimes used for hardware. Early Americans didn’t have ready access to exotic hardwoods like their English brothers did. Instead of veneers and elaborate scrollwork, this type of furniture is typically decorated with paint (sometimes faux finished to imitate veneer) or contrasting materials like punched tin. Unpainted pieces were typically protected with a coat of oil or wax. 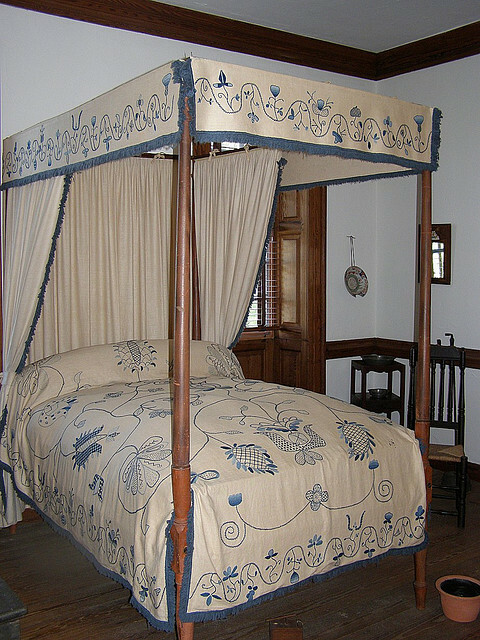 Tables (gate-leg, trestle, and library), four poster beds, and raised chests of drawers (lowboys and highboys) are the most common type of Early American furniture available today. Straight-backed chairs are also pretty common, but like their Jacobean counterparts, they’re uncomfortable, so if you acquire one, plan to use it as a showpiece only. Like most antiques, the elaborateness of an Early American piece will dictate its price. 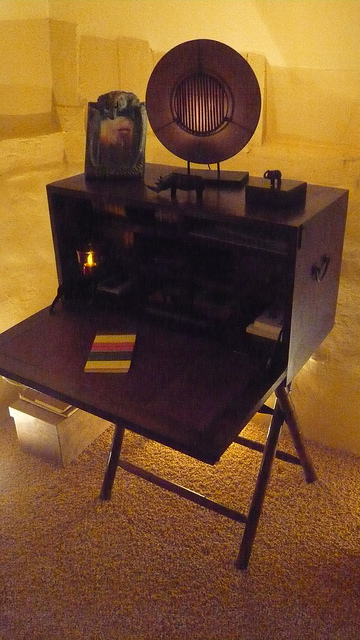 The most inexpensive items are called “primitives” and are typically very simple in construction and almost devoid of decorative elements. For more elaborate pieces, expect to pay $250-$300 for a Windsor chair, $800 for a desk or highboy, and $3,000+ for a four poster bed, dining room set, or hutch.